Nowadays, even NASA admits that EMP is one of those events we could not recover from: it would stop all infrastructures that sustain modern society which rely so much on electronics. No communication, to transportation, and no escape with your fancy new car out of the crowded urban jungle. But if your route involves crossing a smaller body of water, a small watercraft may be an important arte of your plan. If you get too far out of balance in any one area of preparedness, your plan is flawed. 1) Liability in our overly litigious society. I do this for a living. 2) Vehicles, firearms, ham radio … if you just stick it in a closet to pull out after a catastrophe, it probably will not work. We need to train and maintain complex systems that our lives depend on. 3) An X-class EMP or HEMP strike is not necessarily an all or nothing proposition … what if you don’t take a direct hit? Society has a way of bouncing back. People commit all kinds of crimes and atrocities during catastrophes, but after people put things back together, they haul people in front of a court and sort it out. I explain this to my student that say they will have free reign to be SSS (shoot, shovel and shut up) after “SHTF” or whatever. Maybe it’s natural for some personality types to fantasize about finally getting to play judge or instrument of justice when a WROL scenario finally happens. Most of them will likely be profoundly disappointed. Will anybody care about minor emissions or tag violations for Motopeds during a catastrophe? Of course not. But if you want your to run in an emergency, you had better prepare now while times are good, that’s all. In a post disaster scenario, you have to watch out for the Gestapo types who think they must run things. The DMV is so full of them that back in California, I referred to them as the Motor Vehicle Dept. or MVD. Those who remember the early Cold War will understand that play on acronyms. Best idea is low profile to avoid the “radar”. Yes, a good way to make sure a vehicle doesn’t get traced back to you by anybody who snaps an image of your plate is when you buy the vehicle, pay cash and buy it from a private party using an LLC … best ones privacy-wise are NM LLC’s because NM allows LLC’s to hold property and allows the use of a use a residential agent, but you setup the LLC to point to ghost address or mail drop. If the seller wants you to prove you own it, show them a copy of the operating agreement. I use an overseas one so even if LE subpoenas the residential agent and gets the ghost address … it’s an overseas address. You’d have had to have done something pretty bad for somebody to go to the trouble to find you if you have setup your PERSEC correctly but the license plate readers program is really making it easy for anybody who can coerce a repo company employee or LEO find everyplace you park if you don’t take measures to make hard for them to read your plates when you do … but this is much more of an issue in big cities … so you can add that to the long list of reasons why I don’t live in one. Nice article. Another for your consideration is the Rokon, two wheel drive, street legal motorcycle. Basically a small tractor that can still be driven on the road. Point A to B like nothing else. It’s on my bucket list sometime when I find a cheap junker to rebuild. The 80s CUCV, chevies, can be found cheaper than military surplus in the “civie” models with the same diesel engine. Granted, not overbuilt like the ton and a quarter mil models, but even the half tons are plenty stout, they are, afterall, old ‘merican pickemups. I’ve gotten two of them quite cheap over the last few years, as non running “rollers”, and got both running. Mechanical fuel pumps, no computers, etc. Yeah, those are pretty sweet. I haven’t seen what electronics they do or don’t have, but the are neat little bikes for sure. I also really like Motopeds, small on/off road bikes and the diesel bike the military is using since diesel will store longer. I am a huge proponent of modular kit and will be publishing a book on that topic soon, but it’s a good thing to have backup transport on your transport as it increases the likelihood of you being able to refuel it or repair it t get it back on the road should it break down. I am currently restomod’ing a ’82 K5 Blazer as my BO vehicle, along with a trailer still in the design phase. It has the 6.2 diesel with the banks turbo setup, I mention this as the 6.2 is a bit weak in NA form and Banks will stop making these turbo setups at the EOY, I believe. Get them while you can. I would add the 1983 thru 1992 F250 ford diesel. mech fuel injection and the only solid state part in it is the voltage reg. This would cost appox $35.00 to put “on the shelf”.. 2W d or 4. That is a very good reminder about ham radio. The FCC makes administrative fines which are unlike the usual court system, they issue the ticket & you pay, and the fines are huge. You dont even see it coming, as they monitor you over the air and next thing you know, you are assessed a huge fine. Check out the early Honda Trail 90 cycle. 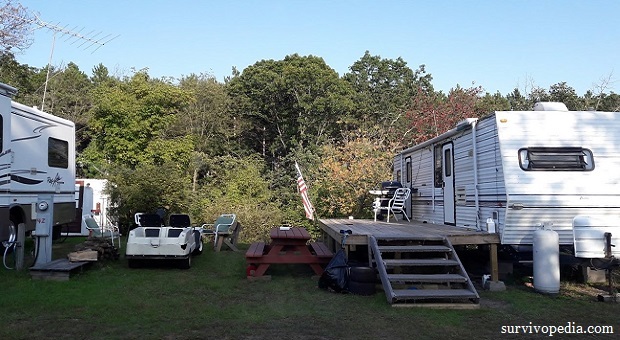 They will go anywhere and you can man-handle it over most obstacles; fuel economy is great and some even have a spare gas can fitted; cross country and through the woods is no problem and they even have a low range transmission like a jeep; they will carry a surprisingly heavy load; easy to maintain. Like all early MC’s it has chain drive and a spare master link or two is recommended. They don’t come cheap if you can find one but worth the money (mine is not for sale!). Excellent choice Mikem. That is a fantastic bike with a very reliable motor and little to break that you can’t fix. One of my mentors used one and I loved it. Maybe I’ll find one someday. My GPA has 2, one was his brothers before he passed. He charged it up for an hour and took off in it with 20 year old gas. 1960s-70s trail 90 with a rifle holster for hunting. Super cool. Agreed! It’s what I learned on 30+ years ago, and I should start looking for another one! I agree, an old honda scooter, bike, or ATV would be an excellent vehicle to have. I think i would be prepared vehicle wise, a 1981 Dodge Power Ram 4×4, a 1983 Honda ATC185s three wheeler, and a aluminum jonboat. 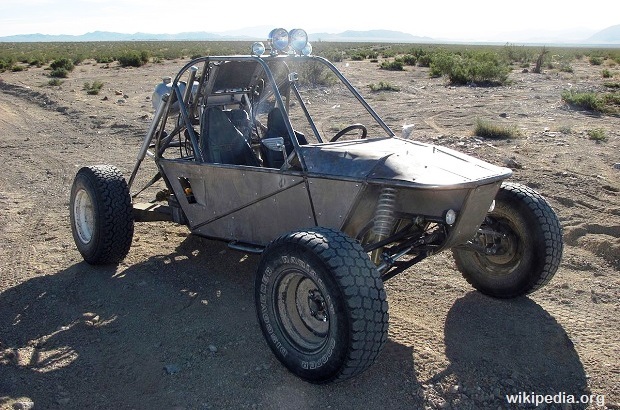 As most people in Alaska & Canada have known for years, A 3 wheeler is an arm buster. They are known for flipping over back wards, regardless how good a ride you are. Those things are ban from production because of that ‘quirk’! how would a railroad box car work for an emp shelter for solar panels and solar generator? On or off the railroad tracks? I would imagine it would provide substantial protection as long as it was made of all metal, but it could have leaks. As long as the metal sheets the box car is made of are not painted before assembly or coated, overlap each other and completely encapsulate the shielded envelope, it would provide shielding, but holes or gaps larger than 1/4 inch could compromise it. If the car was on railroad tracks, though … the tracks would essentially act as an EMP antenna polarized at the optimal angle to conduct the EMP. Railroad track are very long conductors that run parallel to the surface of the earth and the atmosphere, so the could pick up insanely huge amounts of energy which is the opposite of what you are trying to accomplish. Would a conex work as an emp shelter? They do have one area of metal on the floor. Ours sits on two mounds (one at each end) of gravel with two rail road ties on the mound with the conex sitting on it. If the door were closed would it work. A Conex has a lot of issues to overcome to make it a suitable shelter vs EMP. The issues would be basically the same as a Q-Hut. The main issues are all of the gaps, non-conductive paint at doors and where metal sheets are joined and non-conductive gaskets on the doors. Here is one of my articles on the subject because both projects have about the same obstacles to overcome. Thanks for all the very good info, this saves all of us interested in the subject a lot of time and energy. I’m glad when my material helps people in their preparedness efforts … somebody ought to benefit from all the mistakes I’ve made along this journey. There are many things that are best learned through observation and study. Hopefully it will help save some time, money and elbow grease and while we certainly can’t take some things with us, I’m not so sure sure that knowledge gained in this life is among them. Great article! I drive a ’78 Oldsmobile Delta 88 Royale. She gets 23 MPG highway, and has no electronic parts except for the chip in the HEI ignition. That would be fried from a solar flare or EMP, but pop a new one in, and I’ll be back on the road in 10 minutes. I refuse to drive a car that only a computer geek can fix. Don’t forget the module (internal regulator) in the alternator. Also there is a rectifier bridge and diode in there too. older VW beetles & vans had electronic fuel control. Possible storage unit is a shipping container. inexpensive and readily available. I’m aware that EFI was introduced in 1974-1975, but there are plenty of carbureted vehicles. What are you concerned about being particularly sensitive to EMP on these? As far as Conex containers as, I spent some time managing an ATF-approved explosives magazine built from one and some of my other EMP articles and comments detail the drawbacks and utility of shipping containers as protection from a HEMP. Current thinking is that a geomagnetic EMP (CME or solar event) would not affect most vehicles as long as they are not connected to he grid or other long conductors, but it would affect the extraction, refinement and distribution of fossil fuels. I got to see an EFI Volkswagon dealing with RFI while being a passenger in the thing. My friend had to drive from San Fernando to Wallace Island (Northern Philippines) right past a Voice of America station that was transmitting stuff across the South China Sea. The motor would quit running for about half a mile and then start running again; so, he learned to come in fast and coast. Wow, that’s pretty interesting. In tiny little no-budget sliver of EMP testing done on vehicles that is not classified, many minor glitches were reported. Granted, those tests were in no way like exposure to a HEMP because they could not afford to fix the vehicles loaned to them so testing was stopped as soon as any glitch was encountered, so many of the vehicles were never exposed to even the 50kv/m field strength used as the benchmark for the test and a basic mil-spec standard of EMI resistance. But the take away from this is to be sure to try to restart and fix you vehicle after an EMP and diagnose it if circumstances allow as opposed to assuming it’s toast. Thanks, Cache! Great info & recommendations. Should any manufacturer that decides embark on a new car, without all the buttons/electronics/bells & whistles…completely manual & basic…might be making a wise investment. I’d be the first person to buy one…as would anyone who likes ruggedness & reliability, and who wants to FEEL the car they’re driving. No doubt an ulterior motive behind the push for greater automation & centralized control in our transportation/homes/communications/medical care/finances/etc. But lazy, spoiled, apathetic, ignorant consumers attached by their umbilical to social media (ie, the hive mind) can’t seem to get enough of it. There are actually ways to do that. 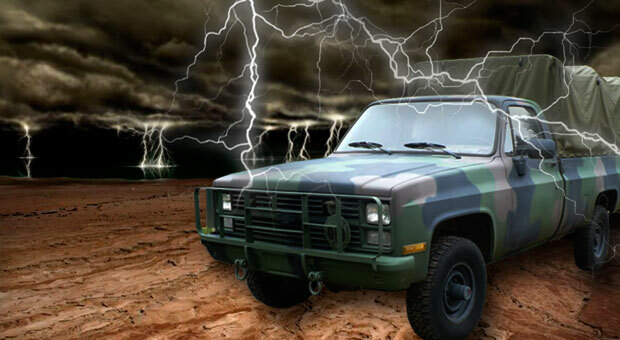 Unfortunately, surplus vehicles scream “Survivalist!” but a CUCV could be made to look like you fixed up a pickup or Blazer. They even come in 2WD. Ford F 250 Diesel, 4 x 4 from 1983 thru 1992 no electronics except for volt regulator on fender well. costs $30.00. C an be bought for a song. I like the idea of the RR box cars. CVP – Good point about the rails being a conductor (& that is not what you want). Question 1: What if the bx car is grounded-like a Faraday cage-would that make a difference? you can use the power? (or is this simply crazy)? The issue with the box car is that the rails would conduct the charge into the skin of the shielded envelope provided by the box car … that’s fine though as long as it is lined with a non-conductive layer. I have built out high-explosives magazines that way by lining them with wood framing since ESD is a bit of a “no-no” there, lol. As long as the cage conducts all that high voltage around the contents you’d be fine, but it would be best to get it of the tracks … no sense in hooking it up to an EMP antenna. You can install fast-switching surge arresters like are used in lighting protection circuits, but the switching would have to trip in less than one nanosecond, so a typical switch would not do it, but this can be upgraded. This model is not designed for that application but will give you an idea of what would be necessary. If the question is more than academic and graduate to entrepreneurial tinkering, look up Jerry Emanuelson. He has some great info on the subject and let me know to. I’d love to see it and possibly collaborate. 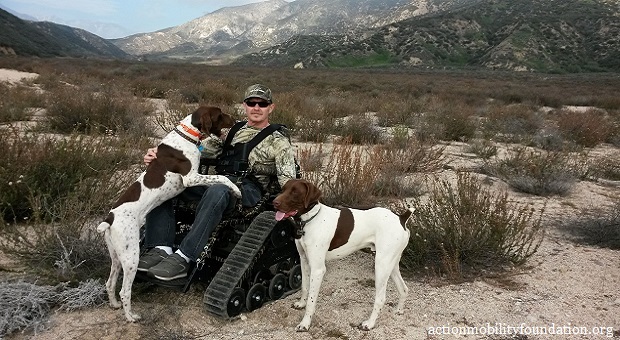 You missed the 3 best vehicles ever for a bug out types, that’ll go any where forever. 1st the M37 series ( a dodge power wagon) , the Jeep 5/4, indestructible, & any of the Internationals, in the travel all, the pickups & the ever reliable Scout. Nothing fancy just go for ever low geared, easily adaptable to dozens of different power trains, engines etc. My old 74 scout had the same shocks as a ford F350 pickup, low geared 6 banger 258CI. Maybe I lost you before you made to the bottom ; ) … I mentioned the Scout and the Jeep so 2 of 3 is better than 0 of 3, but I couldn’t get them all in a little article like this … it just really limits the amount I can put into them without ending up paying to write them ; ) but I’m sure I missed a lot of great options including the M37 you mentioned. Hey, thanks for reading and commenting Mr Workman! Great info, it was always my intent to have a pre 88 ford diesel 4×4. Keeping in the fray and holding extra alt, starter, replaced the volt reg with a mechanical one( boy howdy was that hard to find) with one to spare. I boned up on making bio and have extra filters on hand. One thing a lot of folks tend to forget, maintenance items for your BOV, keeping in mind just because the WROL event is taken place maintaining your gear is still of vital importance. Why is that all the ” survival ” guides always fail to address this?. Just saying. Most writers or bloggers will not touch this topic with a 10′ pole and most of those who do regurgitate myths because they do understand the science and know that engineers will tear them to pieces in the comments. The solution is simply to be possessed of enough curiosity about the subject matter to have learned the basic tenants of science that underpins it in the first place. I will not write about about subjects that I need to research in order to do so. I’m not saying that I don’t think writers should do research. They absolutely should. But I think that writers should write about topics they are knowledgeable about and that publishers should make the investment to find writers who actually have something to say about a particular subject instead of setting a monkey in front of a typewriter and assigning him a topic like bloggers who try to cover every conceivable aspect of survival by themselves and call themselves an expert on every topic. Most of them are not geniuses or walking survival encyclopedias, so I don’t think it is honest to market themselves as such. One piece of technical trivia. There are two kinds of EMP; Solar (Carrington Effect) and man made (nuclear or EMP generator). Solar (super massive CME) cause long wave events that energize long conductors (tracks, pipes, power lines, etc.) but don’t particularly effect small items like radios and cars. Best home protection would be at the outside breaker box to stop the DC pulse from getting in. A really good grounding rod at that point is a must have item. If it does happen, utilities could be out for a very long time. Nuclear EMP is the opposite in that it starts as a pulse less than a nanosecond in length and then stretches out as it travels through the atmosphere. If it’s close by, Faraday cages and shielding are a must. Farther away, it starts to resemble a solar event. By the way, in this game, size matters in both devices and launch vehicles which really limits the threat to a few countries (USA, Russia, possibly China) and some others that could cause local nuisances but not set off a multi-megaton device two hundred miles over North Dakota. Always good to be aware of Jerome. I can’t squeeze as much information into articles as books but it is important for readers to be aware of the differences between geomagnetic EMP caused by a solar event and NHEMP from a nuke high enough in the atmosphere. 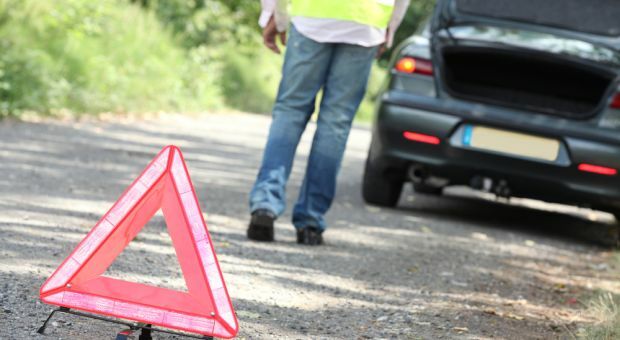 A solar event would not damage most vehicles because they are not usually connected to long conductors that will induce high voltages into them. But in a nuclear HEMP, size is not always going to be as much of a contributor as people might think. Some of the very few nuke shots used by the US to set the 50kV/m EMP field strength benchmark were very small unsophisticated nukes that could have hardly had less gamma yield if they were specifically designed to minimize EMP field strength. Our enemies have had 50-60 years to work on maximizing EMP field strength, not just by using weapons with greater total yield, but by making sure that more of the reaction will be expressed as EMP. An example would be using a thinner bomb casing allowing more gamma to escape the detonation. Any modification along these lines is to design a “Super-EMP” weapon. Many studies have been done on EMP delivery methods to achieve altitude and pretty much any nation state or even rogue elements within nations capable of buying a nuke, smuggling it into the US and launching a weather balloon could affect the entire nation, so it could be anything from minor to very major. I plan based on the philosophy that true emergencies tend to arise out of the realm of the unknown … otherwise they would not catch us with our pants down. 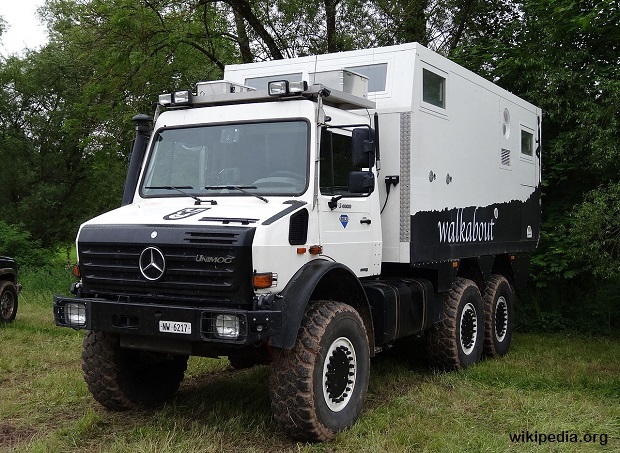 It might seem “exotic” or frivolous in time of emergency but since you’re listing the dirt-simple VW’s and the awesome Unimog, I respectfully suggest adding the older Mercedes-Benz diesel cars. They have several things in their favor; 1) Mercedes standardized a LOT of their parts back then. For example, they only had one 4 cylinder and one 5 cylinder (which have an addictive sound at idle!) for several models and they didn’t change that much for many years. This enabled mass production which makes many of their parts cheaper than U.S. carmaker parts (seriously) and 2) they’re friggin’ bullet proof (no pun intended). For example, the timing chain is rated for 200k miles and, no disrespect to U.S. diesel manufacturers, nobody does diesel like Mercedes. Rock solid motors that, IF maintained, will run for several hundred thousand miles. You don’t have to worry about an older Mercedes with a lot of miles IF the owner can show service receipts/records. (Many do – it’s a point of honor to show they love the MB diesels.) I often wondered “Why do I see so many Mercedes-Benz taxis in 3rd World countries? How can they afford to keep them? ?” – it’s because they’re surprisingly cheap to maintain for the DIY’er and they last forever. Twenty years ago, I owned an ’82 300D Turbodiesel – a wonderful car with over 200k miles when I sold it. The turbo boosted the 3 liter 5 Cylinder from a weak knee’d 80Hp to a measly 120Hp _but_ it wasn’t built for speed. The mid-70’s 4 cylinder 2.4L was only 65Hp but it got ~45MPG. Thanks for the article! Here is another one that usually escapes much appreciation. A real “sleeper” if you need one. The Honda Helix scooters. Built for 25 years, one of the most reliable and idiot proof vehicles ever made. It even has a huge windscreen that makes blowing rain less nasty. Consider this to be a low slung, motorized platform to strap things on to. How much: How about three adults, with a child balanced on the front end. It will take this load up the steepest grade a tractor can cut. You must remember, though, if you do this in public, you will look like a clown convention waiting to happen. They don’t suggest this, but you **can** install a tow hitch to these bad boys. So a 500 pound cart full of groceries is no big deal. This in addition to two adults. Who said scooters are dorky, anyways? How do I find one? Dealers? used? Do Honda car dealers fix them? or who? Which is the right one? Built any year? Is it good in ditches? Can the electric starter be changed to manual? Is there anything else that needs preparation? MY dear friends,THE LORD says america will be HIT with THREE emp’s,one over the east coast,One over nebraska,and one over northern california,and they will Knock out almost eveything electrical,example THE federal government has been buying 3/4ton chevys( fourwheeldrives),with three car haulers behind them,all brand new,wonder what their for?THINK whats coming will be bad?,well your wrong,IT WILL BE A HUNDRED TIMES WORSE THEN ANYONE THINKS,RED DAWN will look like a picnick,compared to whats coming………..
People are just not aware of how the wild areas are already populated with us who know the area and we will not share. Unless you are a child, you will be turned away or shot since in reality our fish and game is already claimed by us. Never make it through the winter so what would be the point of letting you pass. Trust me, the wilds of america are already inhabited by us and we want no more citizens. You chose to live in a city, die there!!! Real American there. It’s not about re-building what’s broken, and forget that Christian charity stuff. but an effort to help where we can. LOL = I find the Posts by Bleeding hearts funny. No one watched TV when storms hit cities? There is no outside help. People are on their own. PR still has no power yet, and it is full of americans. LOL. Life here in the northwest will be small groups of people with guns / posted “stay out, or go away’. refugees will not be seen as ‘good guys’. just a problem to feed and take care of with a limited supply of food. Actually most anything built before 014 can tweaked (totally non compliant) (ECM/PCN’s) w/simple hard wired solenoid switching = -‘s & o’s, yeah, some things won’t function as desired, mileage is one. absolutely no need for OEM radio’s/players & other bell/whistle’s. A lot of compliant components can be found in the lower (uni body frame work) that has to be addressed! Any criminal’s who may want to do harm (via e trac) are aware of this, is all this compliant erasing even worth it on later model’s, most likely not, for most who are in debt! Everything built before 74 could handle about anything, including the early CD (capacitor discharge ones) but the good ol carb & points/condenser etc magneto (including ignition’s w/coil’s powered up w/ the battery. Of coarse, anything designed for road use only would be totally useless! I remember (grew up in a shop) we’d build mini bikes by using the Mac 10-10 chain saw engines, they litterally (just about) went anywhere w/the use of a veri speed clutch/drive system/transfer over to (# 45)chain sprockets, KIS – S – many lawn & garden tractor/mowers still use them. A good drive belt (& spare) is a must, most would be surprised (if taken fair care of) on how durable the belt(s) are these days – if you want to go faster than 75-80 mile Hr, forget it but theirs not a hill or mountain that’ll slow them down, staying in the saddle is another thing! Anything over 10 -15 hp is a waste of fuel! Having extra oil (whether 2cycle or 4) is a must along w/extra plugs – try to go w/a sponge type of air filter, these can be cleaned easily & re lubed & tire/tube repair/pump etc. Also, a 2 gallon fuel tank would cover a good days travel if the carb jets are adjusted right, don;’t lean them out too much, you’ll cook the engine – shielding to dissipate the heat is a must, remember, got to be compliant as possible by leaving as little of footprint as possible, that’s what ‘green means’ – up their bung hoes – they are the Soylent Green believers! The Bible has a lot to say concerning these people, Scripture has always been right on, including the prophets of old, inspired by God Himself – how could they know back then of our technology(s) today?! Of coarse the God of the Bible is the One true (Triune) God! Look what ‘they’ want us to believe, yea, who’s the true moron’s, yes, academia/university’s! We evolved from pond scum? Actually, follow it all the way, they actually believe we evolved from rock’s, I can challenge any of them of this! Good article on EMP resistance for vehicles. I might add, I read an engineering article that suggested that storage batteries might fail or blow up since the case is plastic and transparent to EMP. The high voltage could punch through the separators and the energy of the battery would then destroy itself. A Faraday cage around the battery with transient protection applied where the cables and wires come out would help. A magneto ignition usually as part of the distributor works without a battery or working charging system. Makes push or jump starting very possible. Of course with out fuel and oil it no good either but, if you are needing to get from point A to point B for your long term survival don’t poo-poo having a working vehicle after an EMP or CME event even though you may only have few days fuel supply. Also there are some alternates fuels for gasoline engines, wood gasification, moonshine, etc. whether or not they are viable for you is another story. Being able to move around to find out who, what and where stuff is in your neighborhood after the event may be very valuable, because when it happens you neighborhood may be nothing like you planned for. i.e a plane crash destroys a resource you were counting on. I have the mid 90’s Jeep Cherokee with 4×4, it seems to have a simple looking fuel injection system on it. I’m going to remove all of the grounds from the body/frame(it’s actually a unibody) and dedicate them to an insulated juncture bar as the body will act as the shielding for your electrical components, provided none are connected to it. The engine is already mounted in rubber so all a person would do is dedicate the grounds between the battery and engine and the body/radiator should shield the ignition components. Now the power windows or radio might not work anymore but who cares if it still runs. If this doesn’t work I’ll just load my mini bikes into the back of my M35a2 and push or ride over the top of all the stuck vehicles between my AO and the BOL… Oh yeah did he mention the military trucks are multi fuel= they run on just about any liquid that burns. Putting vulnerable parts or spares for them in Faraday cages is a good strategy. Many gun safes can be modified to be Faraday cages, but some protection is better than none. If you really want to do it right I have described this process in detail for ammo cans, refrigerators and even Quonset huts. You can pull up the articles here on Survivopedia by entering my pen name and EMP into the search feature. It can be done, but a gun safe is typically painted where the doors come together and is fitted with gaskets that are insulator as opposed to conductors, but all that can be fixed. I would like to see all the major car companies start to make their future vehicles EMP protected as son as possible. Oh yeah Philip … even a single offering or even a kit would be great. I know there are a lot of folks who would like to see it happen. I’ve put together some good minds who are working on some market research and demographic info on marketing some type of solution. Our market is growing, for sure, but this will ultimately be decided by crowdfunding or other market forces. What about a metal trash can for a makeshift faraday cage? Also, my lineman husband has faraday type clothing for working on live lines- could small electronics be protected wrapped in these? Metal trash can is fine as long as the metal is a conductor and you line it with a non-conductor. Some come with a locking lid to keep insects and rodents out of feed. Make sure it has a tight fitting lid. Behrens is one brand that does. 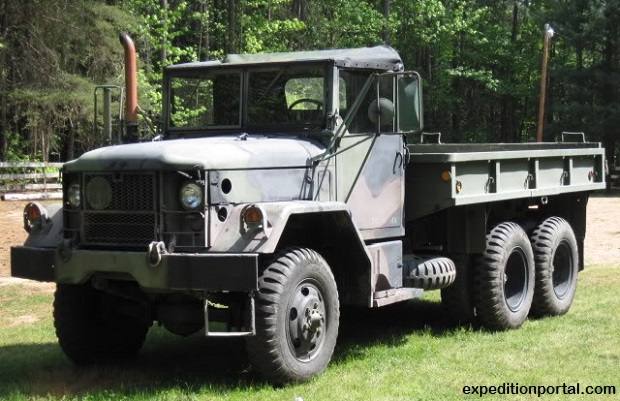 In a serious, long term SHTF situation…what good is the vehicle without the fuel? Are you actually storing hundred or thousands of gallons? Or is your SOP just to have enough fuel to get to a long term bug out location? Wouldn’t it be more prudent to have an electric vehicle that could be charged via solar? The vehicle is just one aspect but it depends on so many others. I am interested in the big picture of how a vehicle fits into an overall long term plan. What are doing with the vehicle? Where are you going? On a day to day basis what is it for? The longer time passes don’t you become more of a target if you have a working vehicle? You need to think it through just as you are doing. You are on the right track asking the right questions. What good is a vehicle if you can’t get gas? A) If you are able to produce a commodity that is of value, you can trade it for fossil fuels. B) You can store fossil fuels if you local codes allow it. C) You can produce biodiesel. D) You can convert a vehicle to LPG/NG and store that. E) Being able to relocate one time may be the difference between survival and death. One trip may be the difference between being trapped in a part of the country where you are an ethnic, religious or political minority. It may be the difference between an area without water and an area with water. It may be the difference between a densely populated area and a rural area. … and so on. Hi, I’m looking at a 1970 deuce and a half with a Multi-fuel motor. Do you think this fits the EMP proof vehicle zone? Thanks, Joe. Though you were right about the old International Scouts, you skipped over the older Bronco’s, International pickups, the M715, 5 quarter pickup which was the military version of the Jeep pickup & last you the most reliable can’t kill M 37 4×4 & all it’s variants of the Old Dodge Power wagons. I’m no automotive genius so this for this plain talk article but as far as I know, all older vehicles are grounded to the frame by default. Is there another option available or a work around to make older vehicles grounded to something besides the car frame? do the same as the old divers did rap as chain around the read axel, long enough to drag on the pavement, that will work as a ground, prevents static build up & all that. Most older fuel trucks had them on them. Ummm….hello? The threat to a vehicle from an EMP (if that even is a realistic threat) onlky applies to cars that ARE RUNNING WHEN THE EMP HITS! 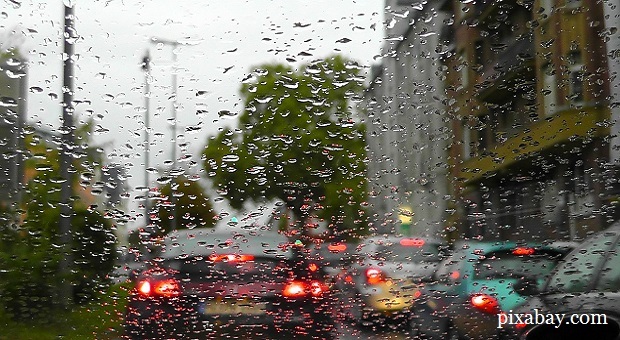 If you car is parked and not running, as would be the case for most cars parked in a garage, there’s no danger! You can’t get shocked by touching an open wire if the wire’s not plugged into anything! Supposedly, the problem with an EMP affects sensitive electronics by the EMP’s field messing with the electrical micro-fields of the car’s electronic/digital systems. Car not running = no fields to mess up. An EMP is a strong electrical field from the sky….it’s not a thousand-degree bolt of fire, for goodness sake! Yes, yes, I know, I know…nowadays even when a lot of cars’ engines aren’t running, many of their electronics systems are acticated and running. Simple…disconnect the battery (or install a battery cut-out switch). My BOV is a 1978 all aluminum Airstream Argosy 28 motorhome with carbeurated Chevrolet 454 with 600 mile range. Small enough to be maneuverable, large enough to be preloaded with water, propane, generator and gear and still be comfortable. Bikes on back and tows an old 4×4 w/RTT and winch. There is an additive one can buy at just about any automotive store named, “Instead of Lead”. I use it for a long time in a ’52, M37B2, power wagon & used gallons of regular everyday gas for 20 some years. Never had a ‘hick up’ with the engine………. Say I wanted to EMP-proof a new Jeep Wrangler. Would it be easier to replace the motor with a pre-80s one or rewire it and place faraday cages where they are needed. I’ve been into the whole EMP thing for awhile and have always wanted to do this. Thanks! Great article! I am planning to move to a sailboat this fall and homestead from there . . . we’ll have to make some alterations to make everything manual as well as learn to navigi by the stars. Boyce Equipment out of Ogden Utah would be a better spot vs. Plan B Supply. Boyce Equipment offers the whole trucks plus all parts for the Duece 2.5 Ton 6×6. Just a thought to add. Military trucks awesome for EMP. Too many people think & wrongly believe that if they have a diesel engine they able to dump any oldie or fuel into the tank & go.. This way from the truth, even military ‘Multi fuels’ don’t run on any old oil. Not for long any way. Old oils are contaminated with mountains of sludge, sludge has water, anti freeze, break fluids, metal shavings from both engine & drive trains, dirt, sand & other engine killing garbage, even then old oil has to be thinned to prevent clogging fuel lines, filters injectors, Synthetic oils do not ‘burn’ as a fuel. Old oils have to be heavily filtered just to begin to remove some of the garbage.. sure having a fuel tank on your property is good if you can ensure people don’t get wind of it ! Re: not grounding the battery Neg post to the chassis, is it permissible to ground the Neg post to the engine? If not how do I remedy this problem? Thanks. Will my 1979 olds eighty eight fire up after an EMP? what about a 1996 Suburu Outback? 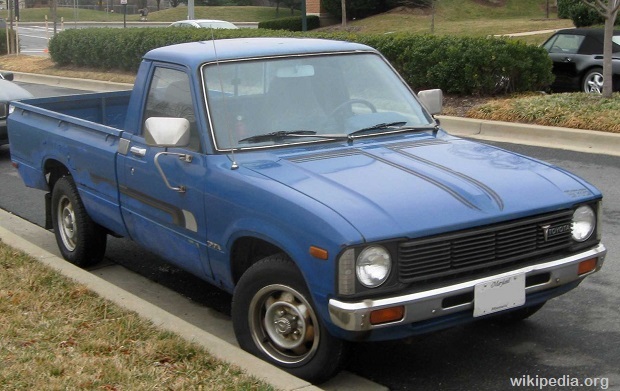 I’m not sure about the Subaru, I own a ’76 Ford F100 4-speed, wow what a truck. 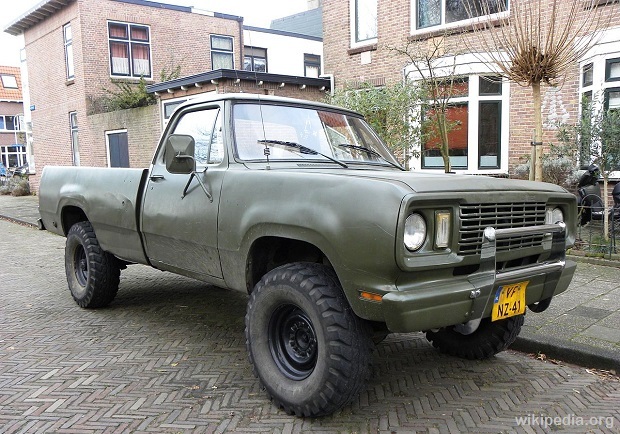 I’m considering purchasing a Cummins-powered Dodge with the 6BT or converting another full-sized truck to either a 6BT or 4BT. How well would such an engine fare in an EMP situation? A question that I hope someone can answers because most of the “common” people have a car with a gas engine has anyone designed a way to retrofit the ignition to a standard old point type ignition. with an Emp event the regular ignition and control would make the cars into an efficient door stop. with the control modules controlling both engine and transmission who has designed a way to convert them into an engine that would actually run. it wouldn’t need to be super efficient has anyone done it? and directions to a website would be great. I have not seen anything yet. Should you, please get back. You would think a universal bypass harness around the computers could be developed. What about motor cycles do you recommend. Roads & high capacity fuel is not a option… so what motor cycles do you recommend! Again,very disappointed you did not do a review of EMP motorcycles. socal with a truck or car. So a motorcycle is the best option. Whatever workable vehicle survives an EMP will immediately be confiscated by the martial law authorities. SWorry I do not agree. I was a L E O some years ago so I can comment with some possibility of being correct. Also in the U S army. After a pulse attack, no radio’s. no patrol cars. no direction, no leadership. It will not take long before the most die hard officers goes home to see to his own family’s needs. Forget the national guard, their isn’t enough man power to cover the U S A. So that leaves the army. This is any bodies guess. My belief is most will go home.also not enough people to cover. One other thing, in my state if you feel your life is in danger, or your property is being stolen lethal force can be used. I think this qualifies. Thank for the good information. May the force be with you! Great article and a fine list of follow-up comments, and I’d like to propose three points. My understanding of the purpose of “protecting” items in a Faraday cage is two fold: First, to keep the EMP’s massive shower of charged particles away from sensitive life forms and electronic equipment and, second, to shield away the induced magnetic field caused by this massive flow of electrons. So, it seems counter productive to ground the cage. Grounding just invites more electrons to flow thru the cage shell, similar to a grounded lightning rod. Second point, the induced magnetic field needs to be diverted or kept “outside”, as much as possible. That limits its construction to basically four elements, listed in decreasing order of effectiveness: iron, nickel, cobalt and manganese (and the thicker the better). The third point I’d like to make is to have everyone consider the problem of induced Gamma ray radiation known as the Bremsstrahlung Effect when the EMP’s intense shower of charged particles interact with the nucleus of the atoms of Faraday cage material. I sepcond the pre-1985 TOYOTA HILUX pickup. Now there is a 3rd world vehicle if there ever was one. Mine lasted until the rear box rusted thru, we use a lot of salt up here during our canadian winters. Mine was new from the factory, came with a basic toolkit including a wheel chock so it wudnt roll off the jack, 3 combination wrenches that fit everything except the big nut on the flywheel, and a flat/Phillips screwdriver reversible in its handle. Oh, and a pair of slipjoint pliers. All in a nice tool roll with the jack & handle which doubled as lugnut wrench. Except for WD-40 i never needed anything else to work on it. The frame was so high off the ground that you needed neither a pit under it nor a hoist to raise it, you just rolled under it & did your work. The manual was 8-1/2 x 11 in one thin volume compared with the stationwagon car manual being 3 volumes. The truck was real easy to work on. Lots of aftermarket parts available. I had only worked on motorcycles before that time but i was able to do 100% of the repairs & maintenance myself. By 1985 there were lots of magazine articles about electrifying them. I only replaced it cuz i got a new job and the wife didnt want to be seen in it driving around with a plywood rear box. What is the best metal to store your items in for an emp. I enjoyed the article and the vehicles mentioned…The Toyota Trucks are damn near Impossible to kill. There was a video of one truck that they sent to the Torture Test Hell could not have come up with. no longer have the video but no doubt it is still somewhere out there on the net and available. One thing in particular I remember as they took to a beach ith an EXTREME Tides and anchored it out and let the tide come in and completely cover it and the tide goes back out they go back out and recover it. and they managed to get get it running again without as much time and work as I would have thought it should have taken……. The Bad Guys in the Middle East and elsewhere use them as MINI TANKS! Don’t forget tools needed to do the jobs with and spare ones if you can manage them……..A lot of tools can do multi jobs then they throw in a Murphy …you need a “SPECIALTY TOOL”….watch out for that and make sure you don’t need one or you better get them if more than one.. I HIGHLY recommend SPECTER OFF ROAD http://www.sor.com for anyone with a Toyota Landcruiser! I dealt with them for years and always got good help and info and they even walked through a few procedures over the phone.. Manuals books parts. and How To information. they have it all and then some! Landcruisers are made to be in tough environments so that is a plus……IF you have any questions or needs at all about Landcruisers contact them! I do not work for them or anything but did use them for years when I had my old FJ-40 that I DO REGRET getting rid of. . I WILL get another one one day! I have NEVER found such a friendly informative knowledgeable helpful business. You mentioned Fiberglass bodies…. A lot of FJs have rusted out over the years and needed body parts replacing….. One can get a fiberglass Tub and fenders and completely replace the hoe body with fiberglass parts………HOWEVER doing so one will run into grounding problems,,,,,but they can be overcome..
Now all of hat being said there is a place outside Savannah Georgia hat sells MilSurp Vehicles I do not have any more information than that….so you will have to search for it if you are interested.The also have HUMVs. whch were not mentioned in the articles and all of the MillSurp vehicles are NATO Slave…..if that matters. As far as Deuce and A Half I would HIGHLY recommend the 5 Ton. They are the same physical size more or less pretty much look the same but there are differences…They are both multi fuel vehicles….the reason I recommend he 5 Ton s because it has power steering. The Deuce and A Half does not. The Old 5 Tons were Standard/Manual transmissions..Newer ones are automatic….just saying an easy way to tel the older ones from the newer ones. Then there is this new article that anyone interested at all in EMP is a must read! Does anyone know if a 1979 Ford F-250 Custom has any solid state electronics that would be vulnerable to EMP?